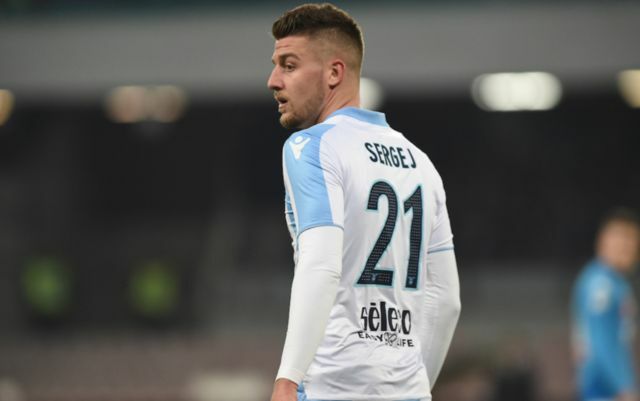 Man United are eyeing up a move for Serbia and Lazio midfielder Sergej Milinkovic-Savic, a player that could potentially replace Paul Pogba at Old Trafford. This is according to Spanish news outlet Don Balon, who note that the Frenchman’s agent is trying to do everything in his power to land Pogba a move away from United in January, and that boss Mourinho wants him gone. 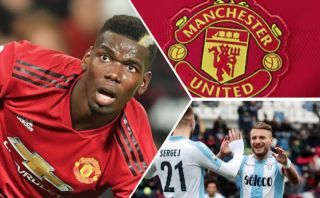 The report also notes that Mourinho wants the club to up their pursuit for Pogba’s potential replacement Milinkovic-Savic, a player who would be the perfect man to fill the void left by the Frenchman should he depart from Old Trafford in the future. Milinkovic-Savic showed that he is one of the most promising midfielders in the world last season, as he almost helped drag Lazio to a top-four finish in Serie A.
Lazio narrowly finished fifth in the league last year, with Inter Milan pipping them to the final Champions League spot, something that would’ve been a bitter blow for the club and their fans. On a personal level, Milinkovic-Savic had a campaign to remember, as the 23-year-old scored 14 and assisted eight in 47 games last year, a fantastic return for a midfielder. Pogba leaving would be a blow for United considering he’s one of the club’s most talented stars, however he wouldn’t be missed too much should the Red Devils manage to bring in Milinkovic-Savic as his replacement.